MaxVUE Airsoft (6 Pack) - a monthly disposable contact lens featuring state of the art lens design and wetting agent, Airsoft™ ensure you feel the air not the lens. 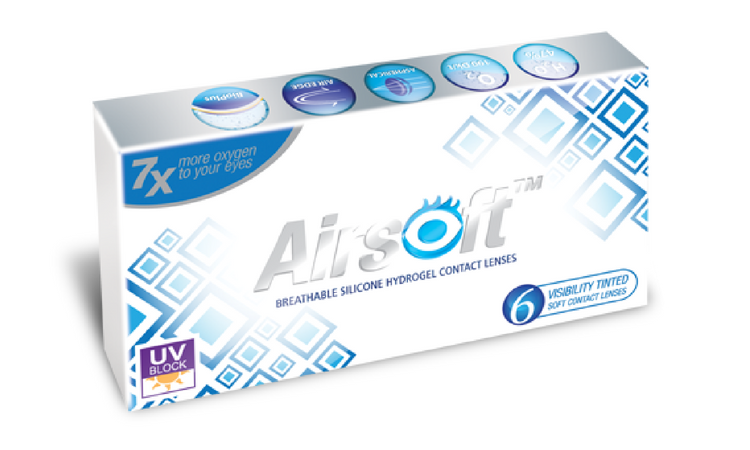 Airsoft™ Silicone Hydrogel contact lenses deliver high performance at an affordable price point. It’s unique silicone material allows both high Oxygen permeability and water content resulting in excellent comfort for all day wear, reducing dry eyes and redness.